A deceiving stage, at first glance, that will be beneficial to sprinters. 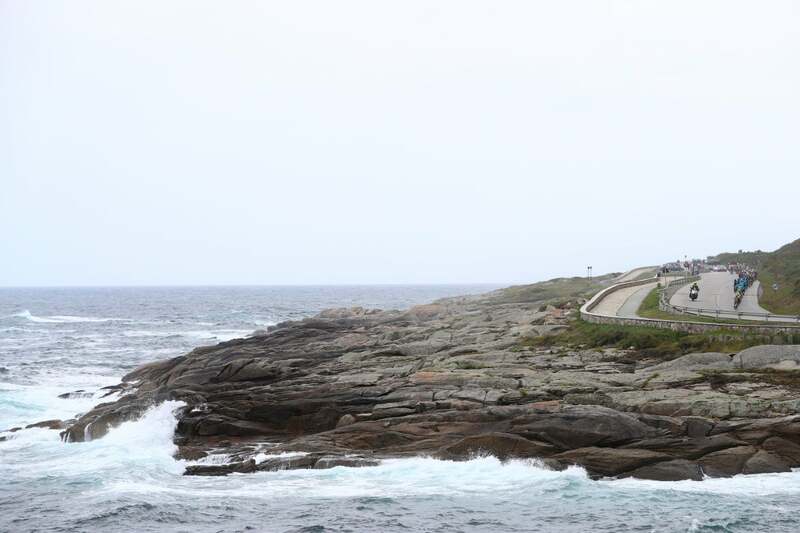 Rouleurs will have to face rugged Galician territory, which will take its toll. Teams will try to stay strong in order to neutralize possible escapes but it will be difficult to control them. 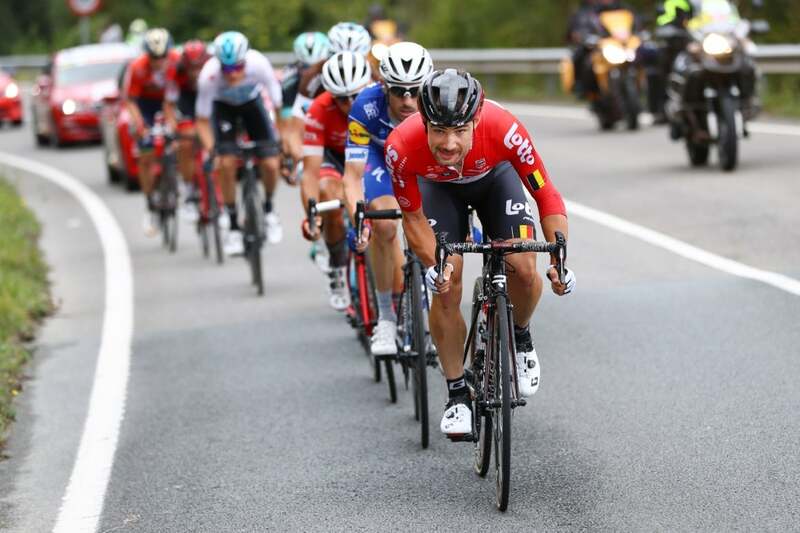 With a trio of mountain stages on the horizon, a big breakaway seized the day on stage 12 at the Vuelta a España Thursday, resulting in a GC shakeup. 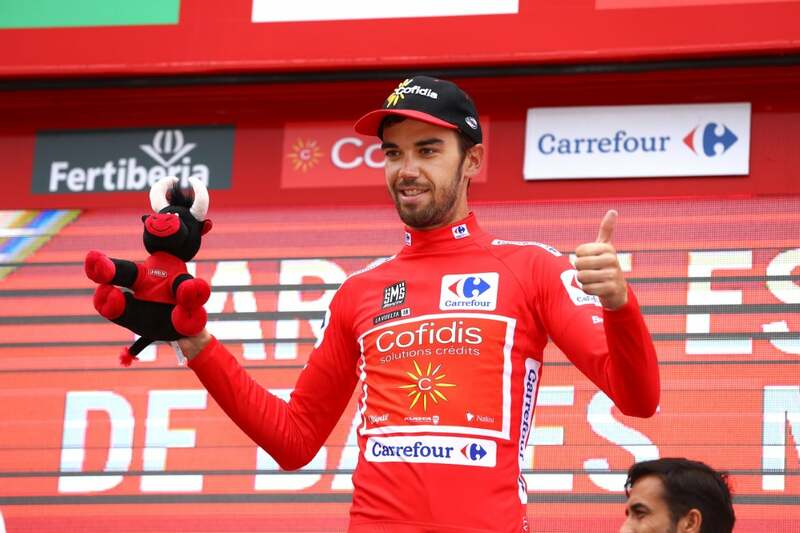 Jesus Herrada (Cofidis) took the overall lead from Simon Yates (Mitchelton-Scott), and Alexandre Geniez (Ag2r La Mondiale) out-sprinted four others to win the day. 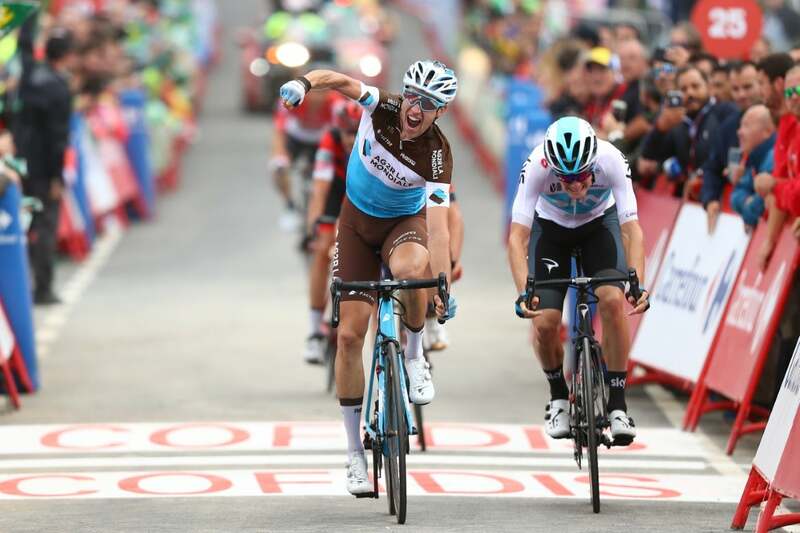 Dylan van Baarle (Team Sky) was second to the Frenchman with Mark Padun (Bahrain-Merida) coming third after 181.1km of racing. “It is hard to believe,” Herrada said. “In the end to take the lead is a dream. I couldn’t challenge for the stage because I was exhausted but it is a reward for the work we have been doing for a long time. 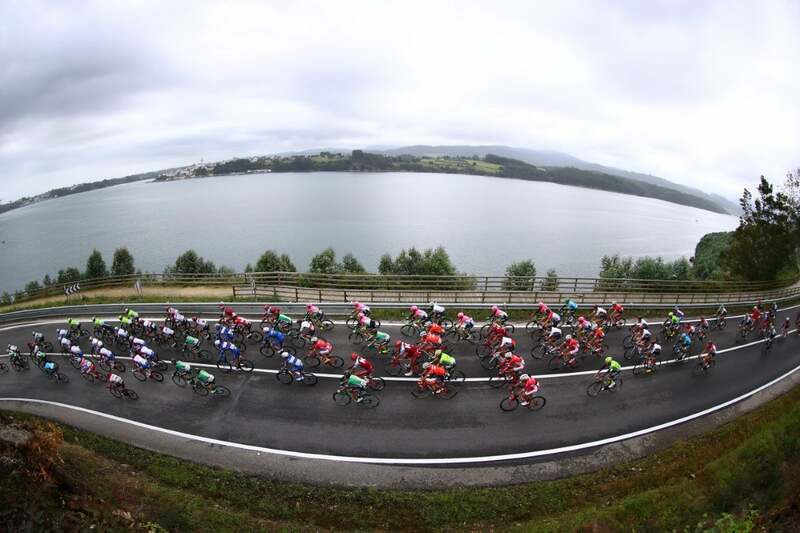 The five leaders came out of a breakaway group of about 18 that formed on the hilly run to Mañón. 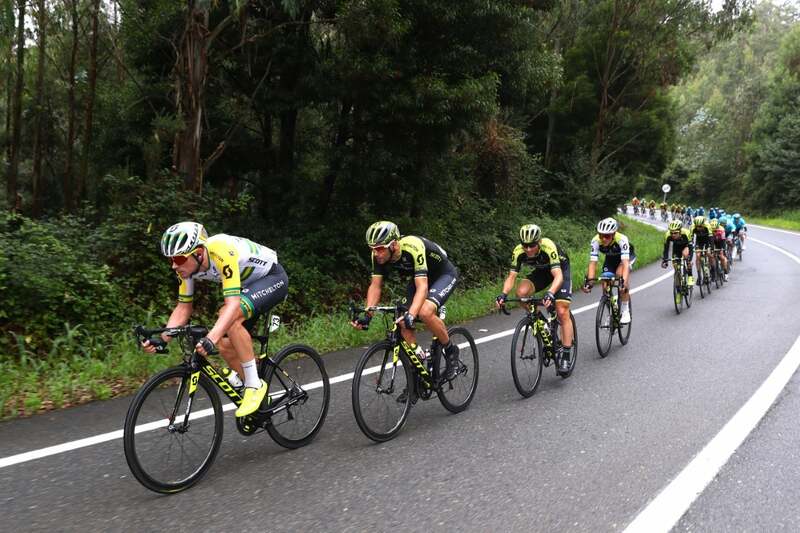 Although the red leader’s jersey was clearly in jeopardy, Mitchelton-Scott didn’t not go to great pains to chase the escape. 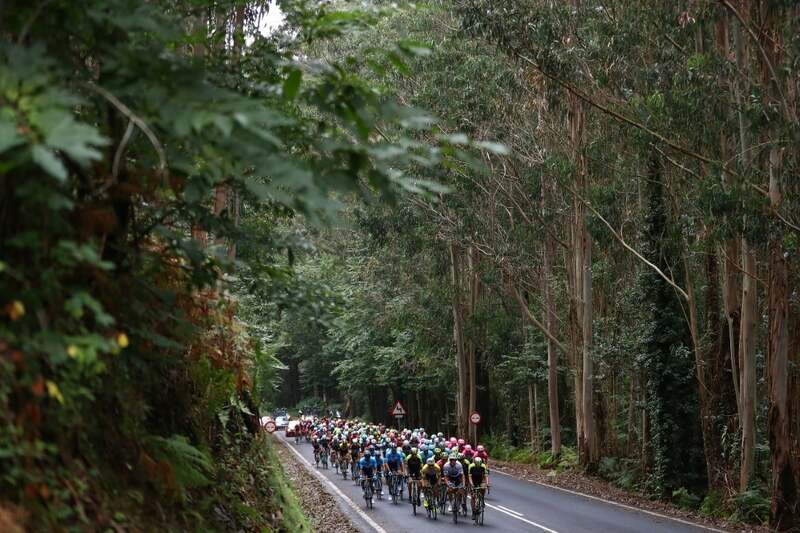 As the terrain rolled and the finish approached, the attacks began to fly from the break. Vincenzo Nibali (Bahrain-Merida), now too far back to be a GC threat, was in the move. He tried his luck with about 34km remaining but couldn’t ride clear. 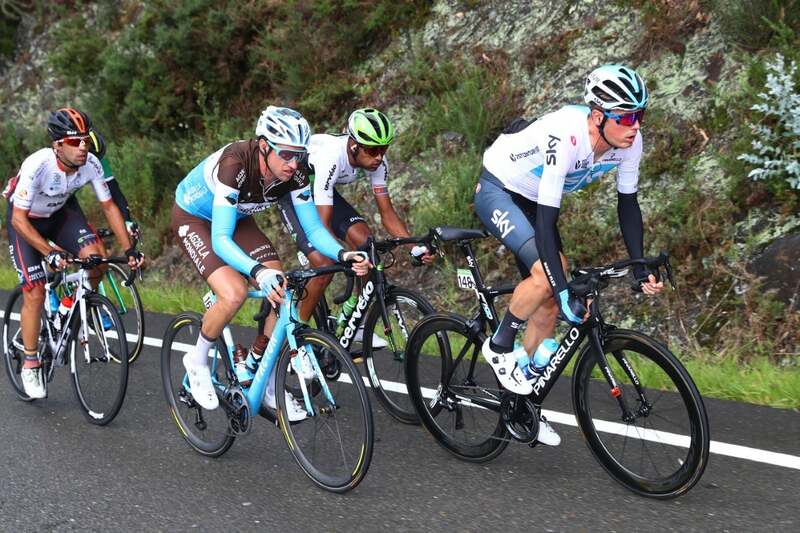 About 10 kilometers later a dangerous group of four attacked: Victor Campenaerts (Lotto-Soudal), Gianluca Brambilla (Trek-Segafredo), Davide Formolo (Bora-Hansgrohe), and Padun. 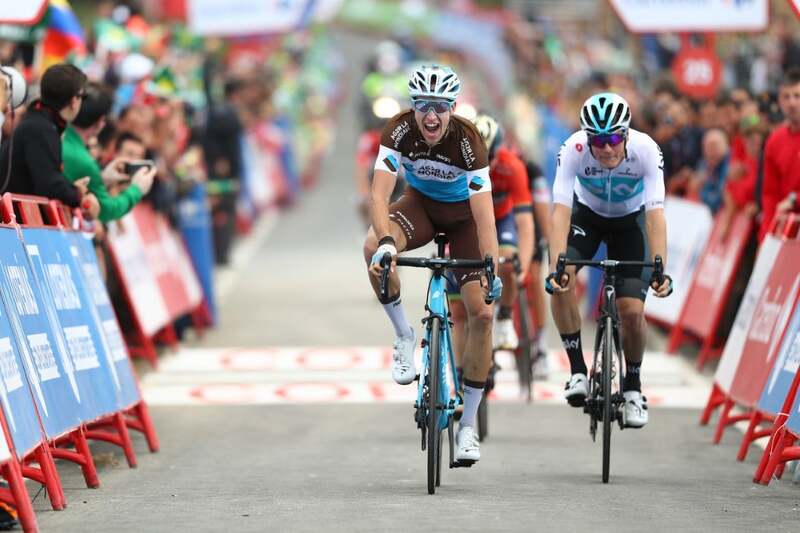 After the stage’s final intermediate sprint, around 20km to go, they were joined by Geniez, Dylan Teuns (BMC Racing Team), Dries Devenyns (Quick-Step Floors), and van Baarle. Positioning was key on the short, narrow climb to the line. Campenaerts led things out, and Geniez jumped at the perfect moment, pinning van Baarle against the barriers. 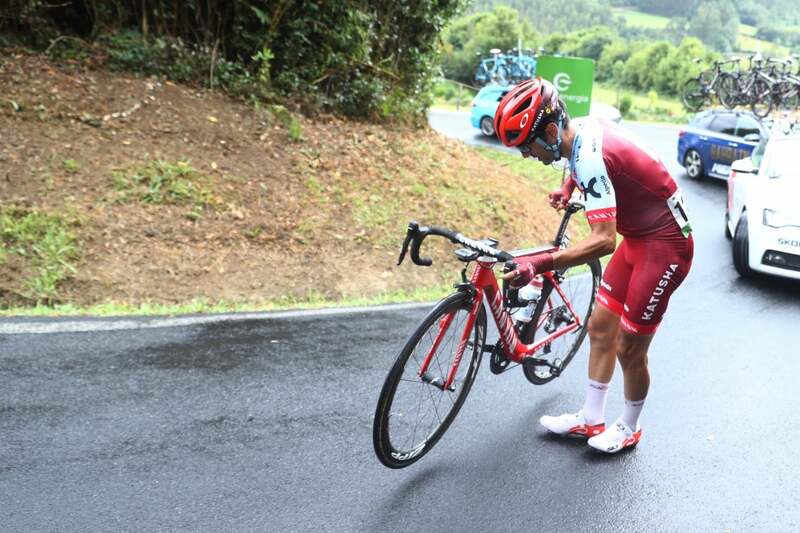 The Ag2r rider won by a narrow margin. “It’s a relief,” Geniez said. “The pleasure of winning is days like these when we just ride a bike after training hard and making sacrifices all year long. After the finish, Geniez collided with a race staffer, causing van Baarle to crash behind. The peloton rolled home without incident. 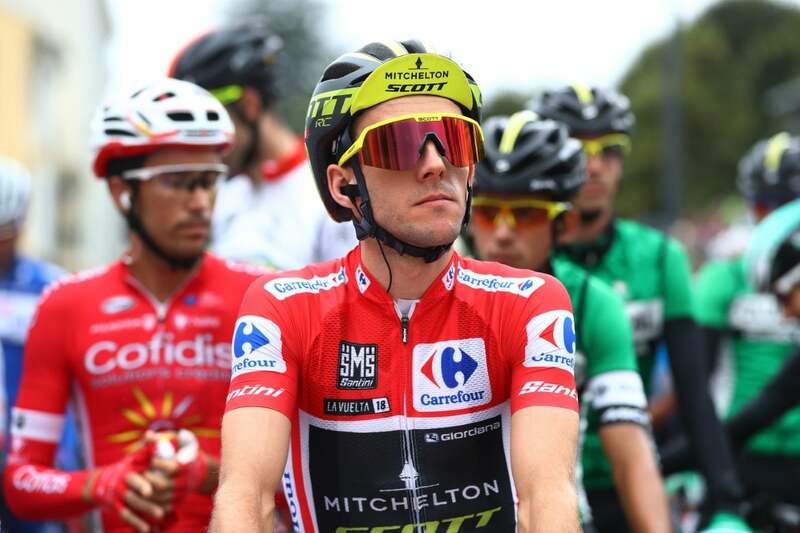 Yates ceded the red jersey, but with Friday’s mountain stage to La Camperona, he might have another opportunity in just 24 hours. Another GC man, Alejandro Valverde (Movistar) will be looking forward to the 174.8km stage 13. He was able to take the green point leader’s jersey back from Peter Sagan Thursday, and Valverde also leads the combinacion classification.